Aston Parts, dedicated to providing a wide range of Aston Martin parts and accessories, is part of the Aston Workshop group of companies. With over 50,000 Aston Martin parts available online and a very high level of expertise, Aston Parts is an established Aston Martin specialist, dedicated to providing unrivalled service to Aston enthusiasts in the UK and worldwide. 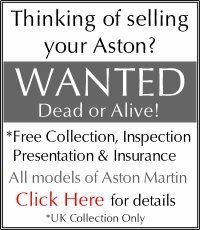 Based in North East England, we aim to be your number one choice for Aston Martin parts. 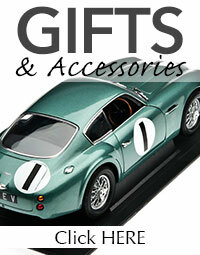 It is our aim to make as many Aston Martin related products as possible available to purchase online. We also want the online purchasing process to be as straightforward and enjoyable as we can possibly make it. Given the complexity of some of the parts for sale, we strongly advise getting in touch with us if you are not 100% sure about any aspect of the product you are considering. We deal in excellence and we specialise in originality. Aston Workshop and Aston Parts are committed to providing each one of their customers with the very best service possible. Totally dedicated to Aston Martin, we take great pride in keeping this motoring legend alive.